Fossil Ridge Boutique Vineyard & Cafe represents the culmination of a family project initiated in 1998. 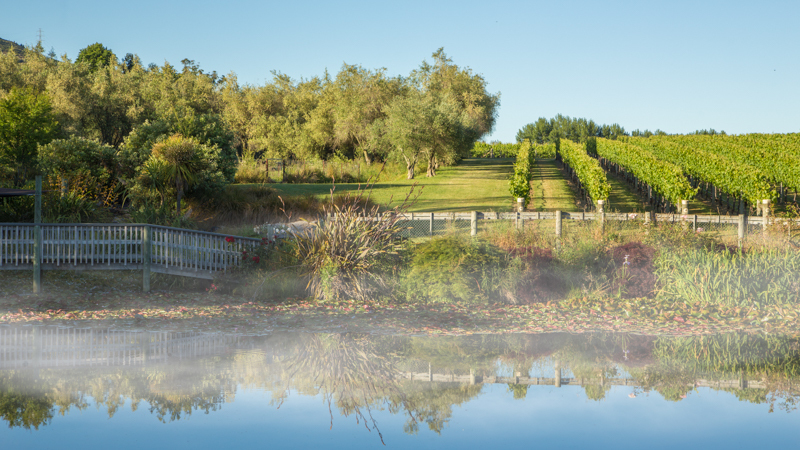 Extensive landscaping enhanced the vineyard environment and also transformed a low lying wetland area on the site into a unique, attractive, sheltered Cellar Door and Café setting featuring ponds and wildlife. The intensively managed vineyard derives its name from Monotis fossils found in its soils. It is north facing and enjoys a temperate climate that has produced wines of consistent award winning quality with a varietal range including Chardonnay, Pinot Noir (including Rosé), Gewürztraminer and Riesling, all of which are handpicked. Café lunches available, bookings welcome.